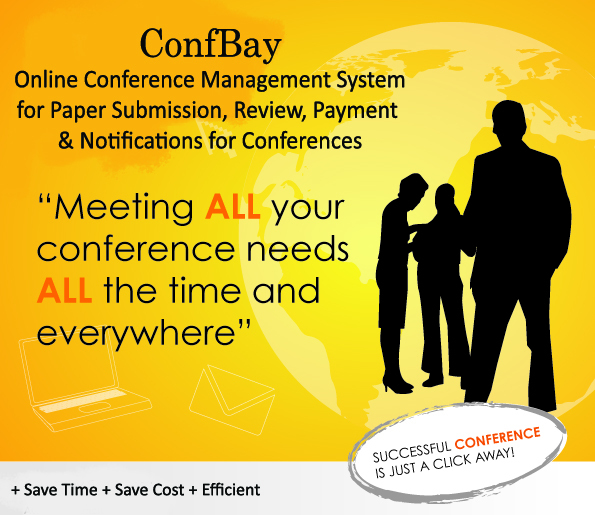 ConfBay System is a FREE trial Conference Management System that is easy to use in managing paper submission, registration, payment and paper review. This conference management system facilitates the management of conferences, seminars and workshops using a web-based software with flexible features to make your life easy. It helps the conference organizers to work systematically in monitoring and making decision because the main process of organizing a conference using this conference management system is automatic. Receive Notification Emails - Invitation, Paper to Review and Thank you Emails. Ability to edit dates, event details, emails wording, invoice, receipt, webpage content etc. Reviewer Invitation, assign manuscript, monitoring reviewer assessments.